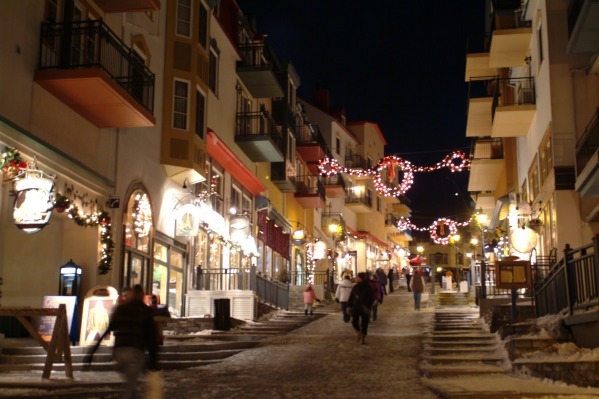 The biggest ski resort in Eastern Canada, Mont Tremblant is found in the largely French-speaking Laurentian mountains of Quebec. This adds a slightly different flavour to that of the Rockies resorts, but there is the usual North American efficiency. 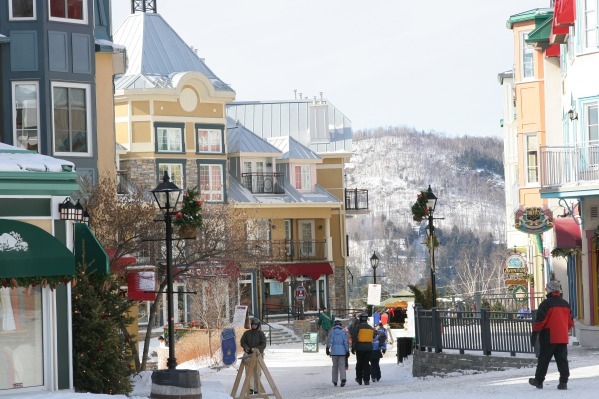 The amount of recent investment has revolutionised Tremblant both in the resort, which is traditional in style, and on the snow. The lift system is award-winning and the whole domain is incredibly user-friendly. As for the skiing itself, there are very good nursery slopes, lots of excellent tree-line intermediate runs and over half the trails are marked as black, although not all live up to their billing. Do try the 'Dynamite' and 'Expo' pistes. They're well worth it. Snowboarders are spoilt, with a natural halfpipe and a specialist park to whet their appetites. 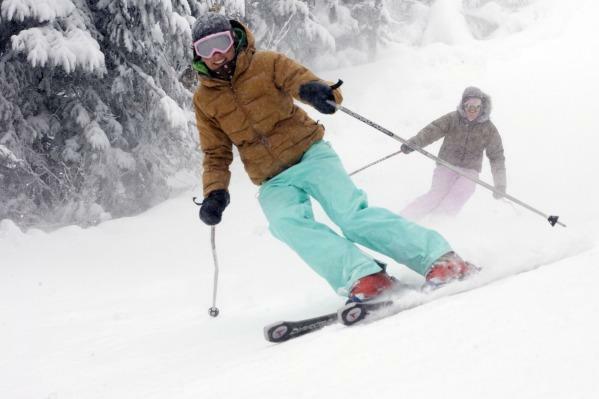 The snow record is dependable and there are wide-ranging snowmaking facilities. It can, however, be very cold in winter and because the ski domain isn't that big, there can be lengthy queues and busy pistes. The resort itself is colourful, atmospheric and distinctly French in feel. You can ski to your hotel and there are also condos to rent. 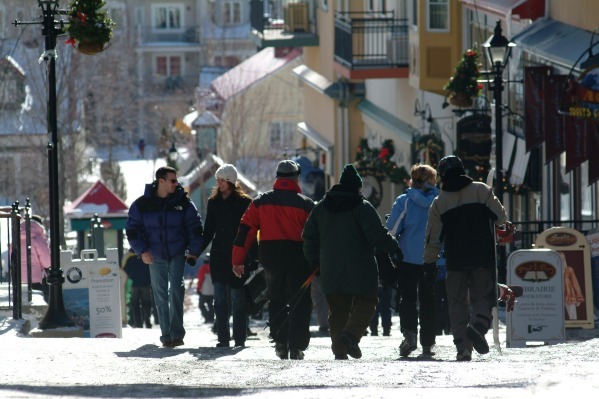 The off-snow activities are reasonable, après-ski and eating out are good, with Quebecois cuisine and a selection of bars to keep everyone happy. Children are also very well looked after at the Kidz Club. 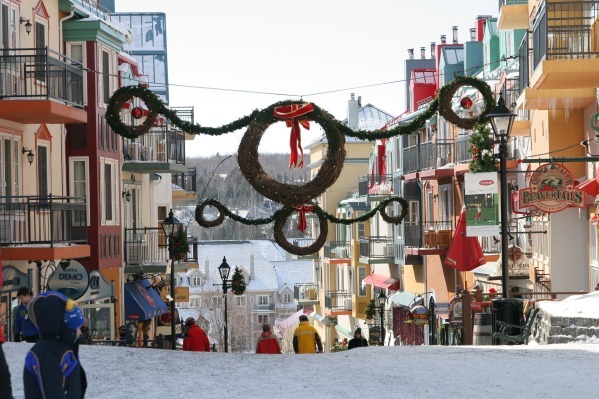 Overall, Mont Tremblant is a slightly different North American ski experience with the French touch. The skiing is pretty good if a little limited in size, while it can be very cold early season. 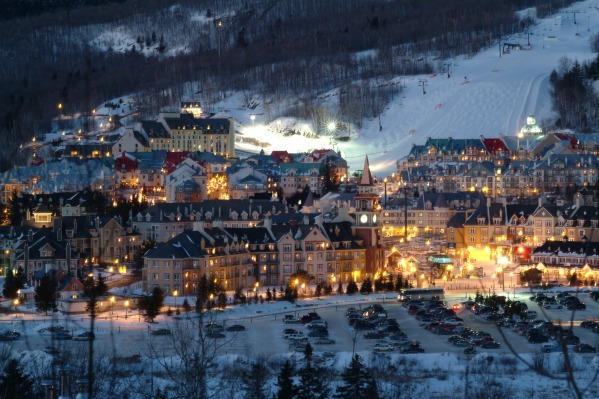 It is closer to Europe, though, and one of the highest-rated resorts in Eastern North America. Gallic charm meets North American service. Family friendly.